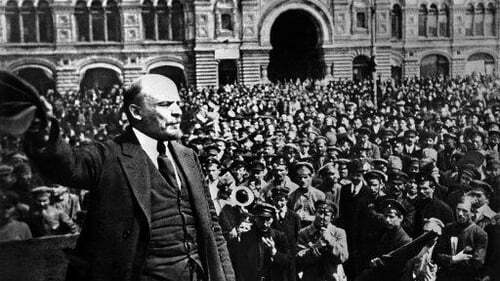 Does the Russian Revolution have any relevance today? Europe and Russia in 2017 look very different to what they do today, so what lessons can we take from Russian Revolution a century later? To judge by the flurry of interest in the centenary, a great deal. Historians and writers are in overdrive trying to convey what happened, how, and why, many focusing on the "ordinary" people involved and the extraordinarily talented artists who experienced, made, and captured the revolution. That’s certainly in the spirit of the thing; Lenin himself described revolutions as "festivals of the oppressed and the exploited". But it’s unwise to romanticise revolution in general, and the Russian Revolution in particular. The course the Revolution took was determined above all by Lenin and his ruling Bolshevik party, often alongside "the people", but often also by force against them. One of the most important questions to ask, then, is: what was the October Revolution actually for? Why did the Bolsheviks take power? Their motive wasn’t power for its own sake; it was communism. It was a vision of a society perfected, one in which people would live in complete social harmony. The essence of the October Revolution was a revolution in human culture and the creation of a "new Soviet person", a better type of human without whom communism could not exist. This was the most ambitious and sustained attempt at human transformation and liberation in modern European history – and yet the Soviet regime became the most violent state in modern peacetime Europe. This is the central contradiction of the Russian Revolution, and one of the great paradoxes of the 20th century. To understand why it happened, and how the Soviet state was formed, it is essential to remember it all happened in the context of World War I. In fact, without the war, there would have been no October Revolution at all. A century ago, Europe was consumed by assorted crises of enormous magnitude. Four empires – Russian, Austro-Hungarian, German, and Ottoman – were collapsing, leaving behind what historians refer to as the "shatter zones" of empire in central, southern, and eastern Europe. The experiences of war, state failure, and military defeat opened up spaces for paramilitary violence, atrocities and extremist politics over the next three decades. This tendency was especially pronounced in Russia, in part because of the ideological fervour that the Bolsheviks added to the mix. Lenin and his comrades were supremely theoretical politicians. They were not above opportunism and cunning, lies and brutality, but they were motivated more by theoretical vision of a much better world than by self-interest. During the war, Lenin realised that because Marx had not lived through the age of imperialism, his thought was somewhat out of date. Imperialism, Lenin reasoned, was a new stage of capitalism. Imperial states had sought to conquer overseas colonies in order to exploit natural resources and cheap labour, and competition for colonies among the imperial states had inevitably culminated in catastrophic war. The only solution for humanity, Lenin believed, would be socialist revolutions, with an end to warfare once and for all. The tragedy of the Russian Revolution is that the palpable sense of popular emancipation and empowerment in 1917 gave way to violent dictatorship. Within months of the October Revolution, Lenin bemoaned lack of discipline among Russian workers, and both Leninist thought and Bolshevik rule became noticeably more authoritarian. Starting in summer 1918, with economic crisis and civil war setting in, the Soviet state dramatically intensified its practices of violence and repression. Its leaders justified it as a path to the better future the revolution was meant to secure. The revolution might no longer be directly relevant to the lives of many Russians, yet polls consistently find that more than half of Russians regret the collapse of the Soviet state. For Russia’s political elite, opposed in principle to revolution, the centenary is less than welcome. The overriding message from Vladimir Putin and his government is that the social divisions associated with revolution could prove fatal for Russia, that the country has had enough of revolution, and that what it needs now is a strong state. To address the question of the revolution’s relevance is to address the broader question of the relevance of history. There are few chapters of history more uplifting and inspiring, more tragic and horrific, in short more complex, than the Russian Revolution. In his new book, October: The Story of the Russian Revolution, author China Miéville argues that the relevance of 1917 is that it allows us to imagine the possibility of a very different type of political and social order. Europe and Russia in 2017 look very different to what they did in 1917. The Bolsheviks came to power at a time of all-consuming crisis; by comparison, it is hard to imagine today’s economically advanced countries reaching the brink of major revolution. Still, the stresses and strains of recent years have laid bare many of the shortcomings of globalised neoliberal capitalism, which are now acknowledged not just by those on the political left. The world is still beset by grotesque inequality, excessive corporate power and corruption, militarism and warfare, deplorable political leadership, and creeping environmental crisis. When making sense of 1917 and its legacy, it’s vital to avoid fatalism. It was not inevitable that the revolution would turn sour. Equally important is to remember that the Bolsheviks weren’t really socialists; they were communists. The decades of authoritarian excess and abuse that marked the Soviet era are not a judgement on the merits of socialism. What’s fair to say is that the Bolsheviks’ virtues led also to their vices. But a measure of principled political leadership and a zeal to build a truly better world are needed as much today as a century ago – and perhaps even more.